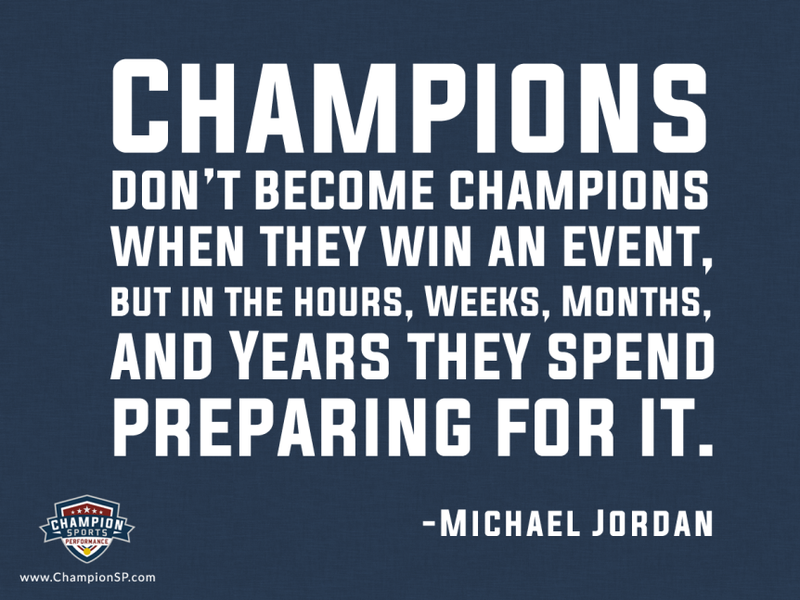 Champions don't become champions when they win an event, but in the hours, weeks, months, and years they spend preparing for it. Your vision may be on the big goal or championship, but becoming a champion doesn’t happen in one day. Be intentional to prepare and train – that’s how to set yourself up for success! Learn more about how we can help you prepare to become a champion through our training programs!